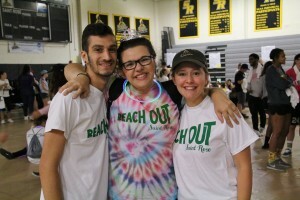 The College of Saint Rose understands how important your role is in helping students find the perfect college. 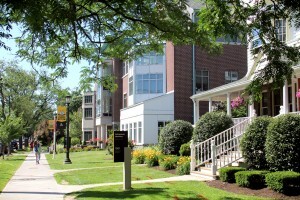 One of the most important components of a student’s college search is the campus visit, so we want to invite you to visit The College of Saint Rose! Hop on a student led tour, step inside our classrooms, speak with an admissions counselor and be welcomed into our community just like any of our prospective students! Feel free to join us at any of our Open Houses, Information Sessions, and Accepted Student Days or schedule a visit when you’re in town! Please do not hesitate to call or e-mail The College of Saint Rose Undergraduate Admissions Office if you would like additional information or have questions. Our admissions representatives truly believe that the admissions process is not about finding the "right" college- it's about finding the college that's right for your students. 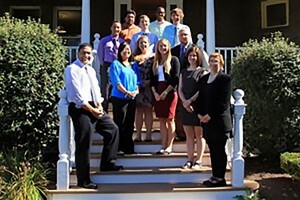 Thank you for your interest in the College of Saint Rose and our First-Year Admissions team. Thank you for your interest in the College of Saint Rose and our Transfer Admissions team. 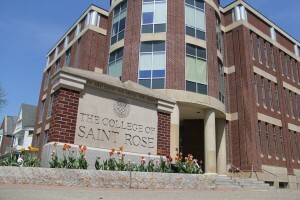 It's easy to learn more about Saint Rose. Complete an Information Request Form and allow us to provide the information you need to learn more.